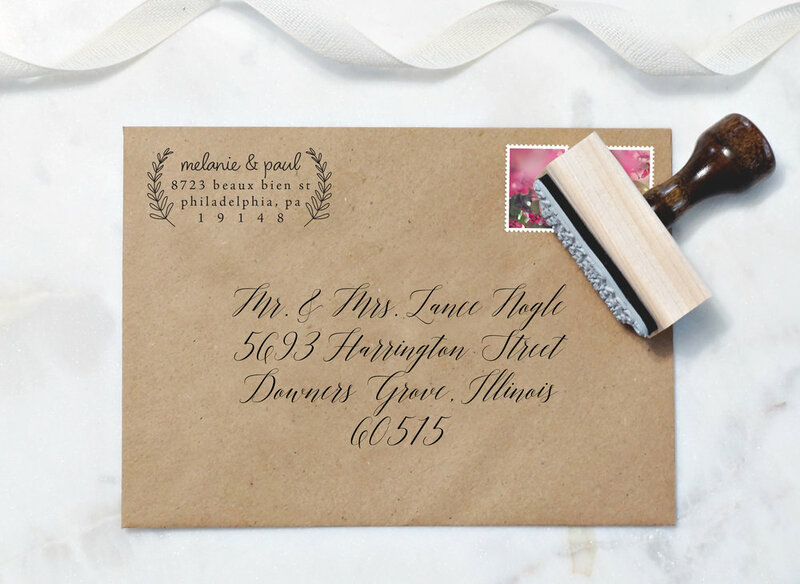 How to Address a Wedding Invitation — East Grove Stamp Co. The only thing harder than paring down your guest list to fit your space, er, budget, is making sure that the correct people know they are, or in some cases, are not, invited. My apologies if that came off crass, but sometimes you don't want to dole out plus ones like Halloween candy or maybe it's an adults only soiree... Here's a handy cheat sheet for how to address your invitation envelopes so it's clear who in each household is invited. I'm going to use my immediate family circa 2004 as an example. Meet Lance and Helene Nogle, and their three lovely children Sydney (that's me! ), Victoria, and Ian, aged 18, 14, and 10 respectively. Oh, and Sydney was glued to, er, dating this guy named Mike (yes, the same Mike...he stuck around). Spare yourself some hand cramps and peruse our lovely selection of address stamps and RSVP address stamps – we have a special deal for brides called 'Matching Set', it includes both an invitation sized address stamp and a matching larger RSVP address stamp, perfectly sized for your RSVP envelopes, with a discount for buying them both together. For any wedding guests reading this: if your child's name or 'and family' is not on the envelope, they aren't invited. If your significant other's name or 'and guest' is not on the envelope, they aren't invited.